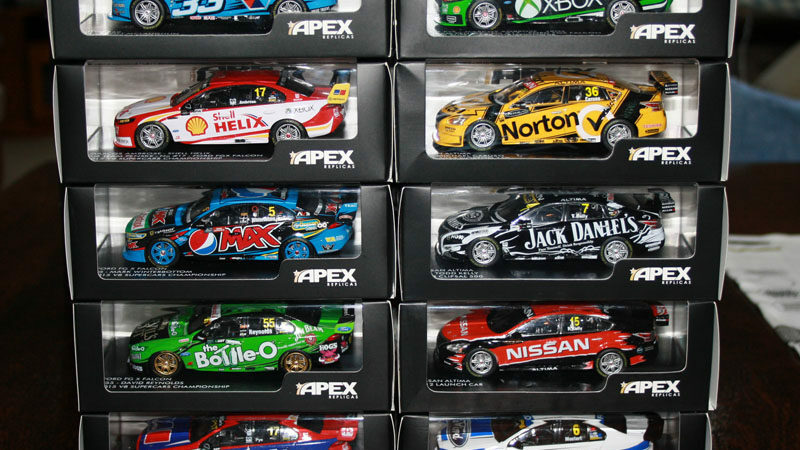 With factories going bust in China (or whatever the reason was), there has not been much in the way of 1:43 V8 Supercar models for the past couple of years. Well, that’s all changed in 2016! Both Apex and Biante have been busy churning out multiple releases over the past 6 months or so. 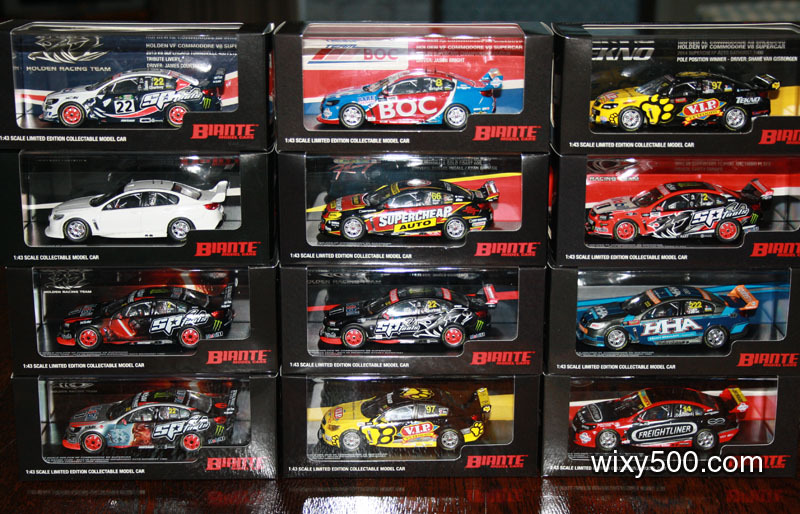 A bunch of Holden VF Commodore V8 Supercars from Biante – and there are more to come! 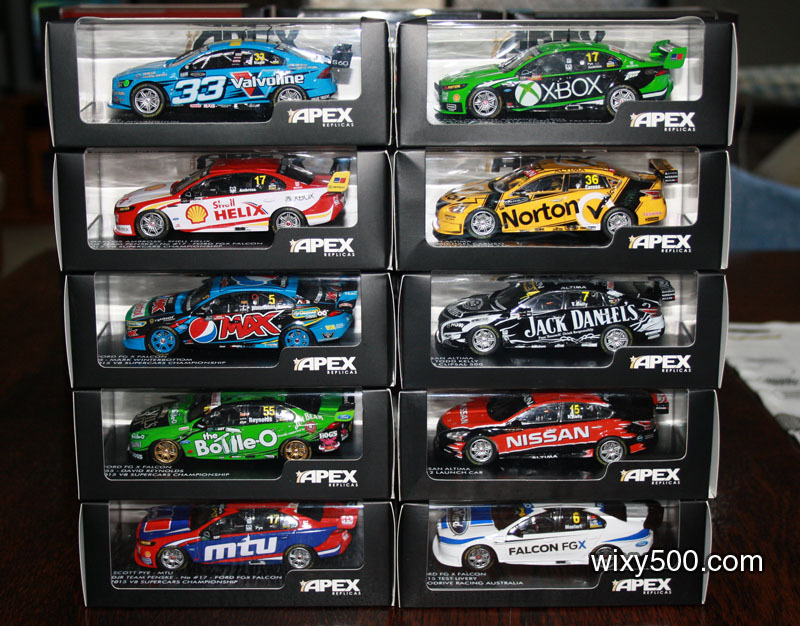 Recent FG-X Falcon V8 Supercar releases from Apex (plus the Nissans and a Volvo released at the end of last year). 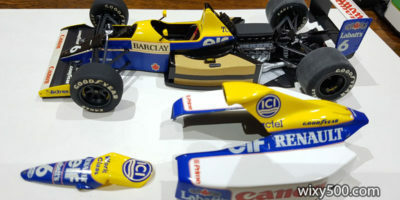 The models from both manufacturers are, generally, pretty darn good. 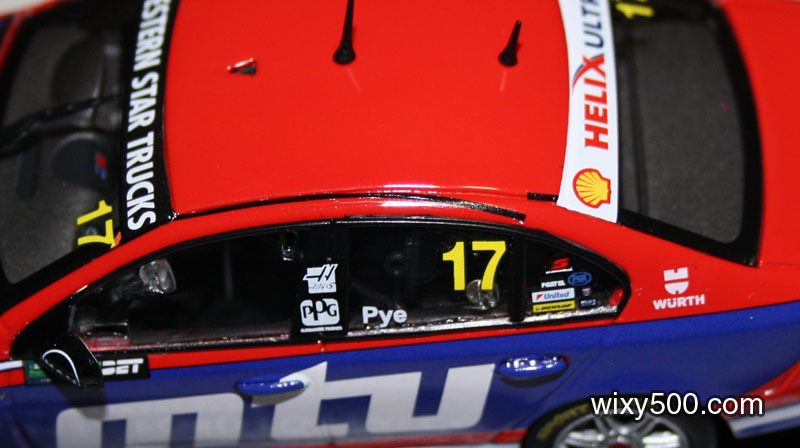 One could argue the Apex models are a little more refined and detailed, however several of the pieces I’ve bought are let down by quality control issues – mostly sloppy decal placement and detail painting compared to Biante. The fluro wheels on the HRT cars are not glossy enough. In fact, they almost look translucent. Front wheel on the Volvo is misaligned with the wheel well, and there is a lot of body colour visible inside the door trim. 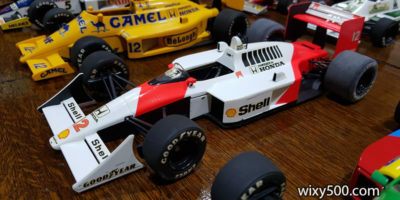 A couple of the other Apex models also had wheel alignment issues. Considering the positives and negatives of each, I’d say, overall, they’re fairly much on par with each other. If forced to pick a winner though, it would be Biante – good, consistent, clean models at a far better price point (like, about $30 better!). 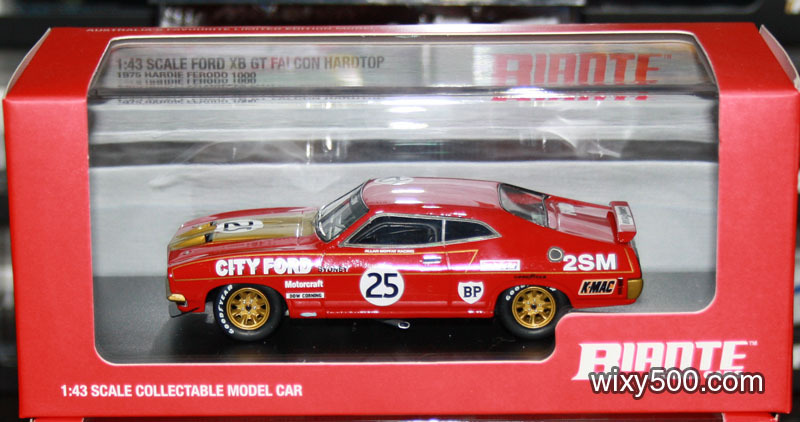 Moffat’s 1975 Bathurst Falcon also arrived from Biante – a very nice model.